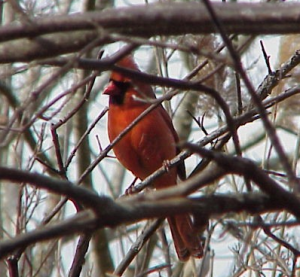 Calling songbirds is a great way for birders to get an idea of what species of birds are around their area. This is typically done using an electronic caller and screech owl sounds. 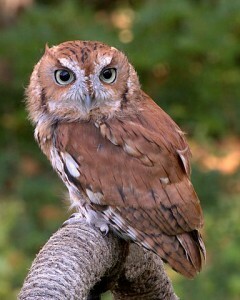 The sound of the screech owl will initiate a mobbing effect where the songbirds will gang up and attack the screech owl. Of course here we are using an electronic caller, so the songbirds will be looking for that screech owl that isn’t really there and will only see the caller. I have never used one, but it would be interesting to see what the birds would do if I used a screech owl decoy along with the caller. Although I am not a big birdwatching fanatic, at least as far as songbirds go, it is really cool to see what comes to the screech owl calls. Often dozens of different species of birds will respond. When choosing a setup for calling songbirds it is best to choose an area of dense cover like bushes, or trees with low hanging branches. Get right in the middle of this thick area and set up with your back against a bush or tree so you have low hanging branches and bushes all around you. Keep the caller close to you. As the birds try to find that mysterious screech owl they will be flying and landing all around you. Once you start calling, the birds will literally land in the branches right next to you and might even land on you if you are concealed well with camouflage and remain still. You will hear the flutter of wings as the birds mob the caller looking for that owl. A few times when I have been out calling songbirds, I have switched tactics and sounds at the end to make it a bit more exciting. 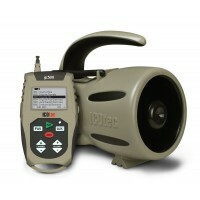 Once I have had my fill of the songbirds fluttering about, I’ll switch the caller over to the sound of a hawk screaming. With the trees and bushes loaded with songbirds (live decoys or bait), if a hawk comes in it will seize the opportunity for a meal. This has worked a few times over the years and has lead to some very close up hawk vs. songbird attacks. If you are a big bird lover you might not like this tactic, but it works and can lead to a very exciting end to a stand of calling songbirds.